Shop online for 47 emhar-squadron plastic models at discounts up to 23%. 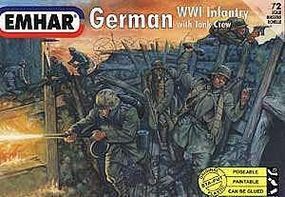 Figures is the most popular of the 4 emhar-squadron plastic models categories, then Cars / Trucks / Vehicles, and Airplanes. 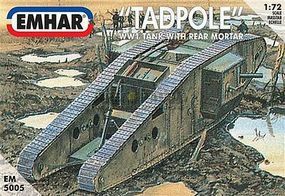 This is the 1/72 Scale WWI British Tadpole Mk IV Tank Plastic Model Military Vehicle Kit by Emhar/Squadron. This is the 1/35 Scale WWI British Male Mk IV Tank Plastic Model Military Vehicle Kit by Emhar/Squadron. 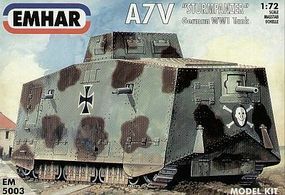 This is the 1/72 Scale WWI A7V Sturm Pz Tank Plastic Model Military Vehicle Kit by Emhar/Squadron. 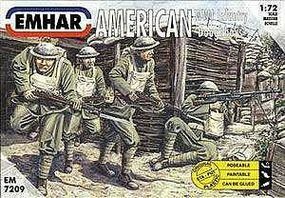 This is the 1/72 Scale WWI American Doughboys Infantry (50) Plastic Model Military Figure Kit by Emhar/Squadron. 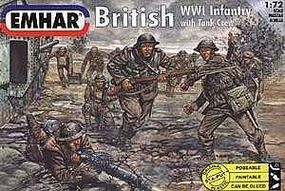 This is the 1/72 Scale WWI British Infantry with Tank Crew (52) Plastic Model Military Figure Kit by Emhar/Squadron. 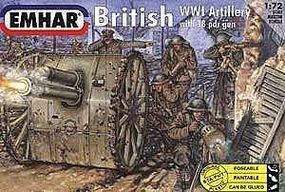 This is the 1/72 Scale WWI British Artillery (24) with 2 18-Powder Guns Plastic Model Military Figure Kit by Emhar/Squadron. This is the 1/72 Scale WWI German Infantry with Tank Crew (48) Plastic Model Military Figure Kit by Emhar/Squadron. 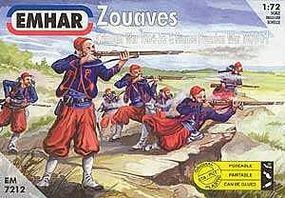 This is the 1/72 Scale Crimean War 1854-56 & Franco Prussian War 1870-71 Zouaves (50) Plastic Model Military Figure Kit by Emhar/Squadron. This is the 1/72 Scale WWI Female Mk IV Tank Plastic Model Military Vehicle Kit by Emhar/Squadron. This is the 1/72 Scale 9th-10th Century Saxons Warriors (50) Plastic Model Military Figure Kit by Emhar/Squadron. This is the 1/72 Scale WWI German Artillery (24) with 2 96 n/A 76mm Guns Plastic Model Military Figure Kit by Emhar/Squadron. This is the 1/72 Scale 9th-10th Century Viking Oarsmen (32 seated & 10 standing) Plastic Model Military Figure Kit by Emhar/Squadron. This is the 1/35 Scale WWI British Female Mk IV Tank (Re-Issue) Plastic Model Military Vehicle Kit by Emhar/Squadron. This is the 1/35 ScaleWWI German Artillery (3) with 96 n/A 76mm Gun Plastic Model Military Figure Kit by Emhar/Squadron. This is the 1/72 Scale WWI Whippet Mk A Medium Tank 1918 Plastic Model Military Vehicle Kit by Emhar/Squadron. 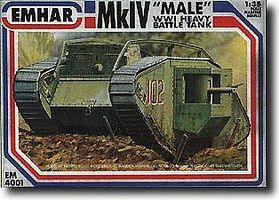 This is the 1/72 Scale WWI Male Mk IV Tank Plastic Model Military Vehicle Kit by Emhar/Squadron. This is the 1/72 Scale Crimean War 1854-56 & Franco Prussian War 1870-71 French Infantry (50) (Re-Issue) Plastic Model Military Figure Kit by Emhar/Squadron.